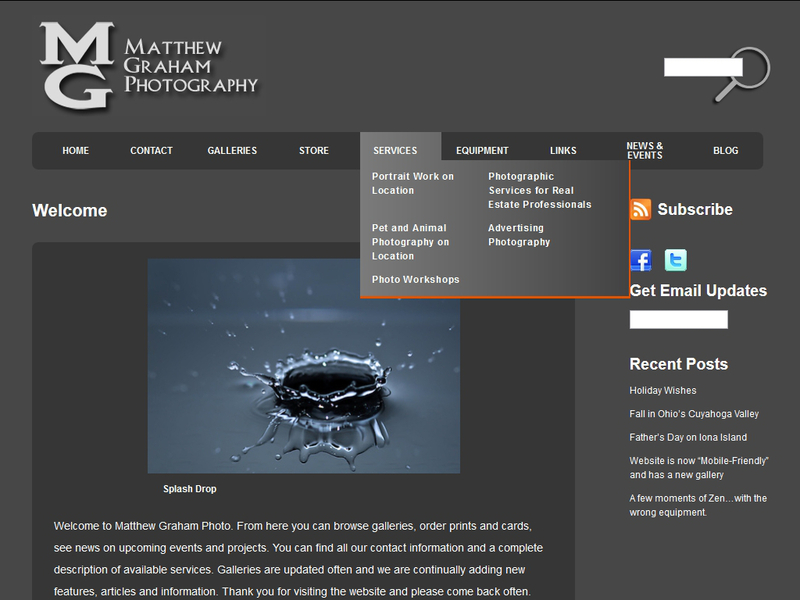 Matthew Graham Photography | Building Websites for the People! 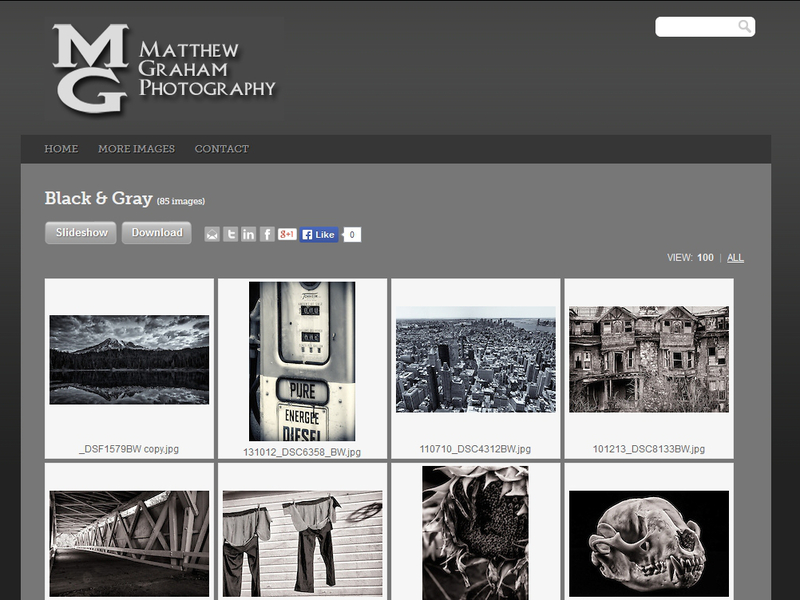 In 2011, I created a WordPress website for Matthew Graham Photography which is still in use. One of the primary goals of the project was for the website to look similar in design to the template he uses on the photo storage service, PhotoShelter. I used the Superfish Menu Plugin for Jquery to create the drop-down menu. One goal was to make his WordPress website look roughly like his chosen PhotoShelter template.